Lifting the eighteen-foot long great white shark we made in one day. ideas empower us. 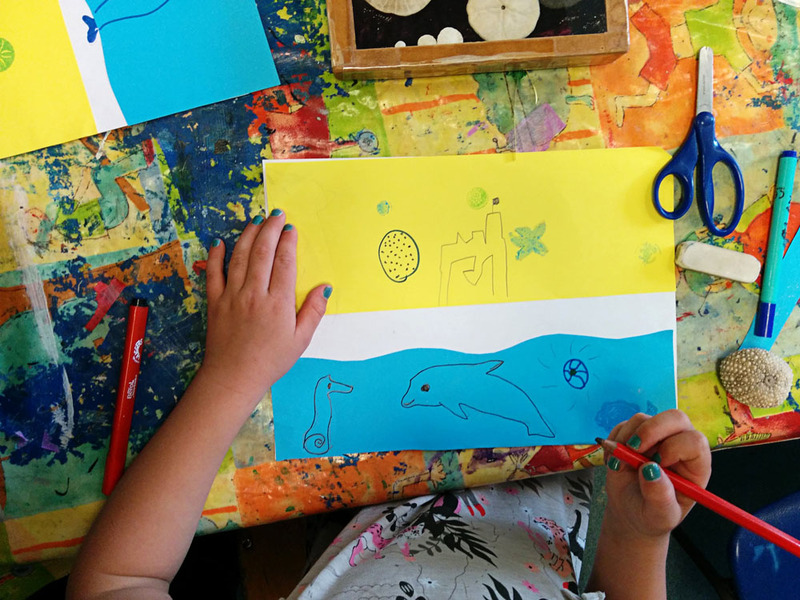 During my residency at ACS International School in England, kids made “Sand Dollar, Sand Dollar” inspired collages. Update: I have a new book website! You can find it here.